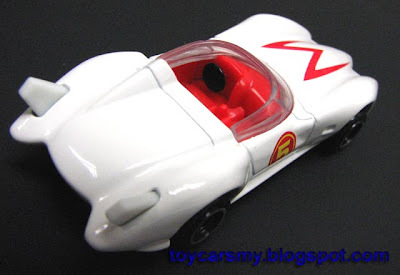 Litt Tak caught us a surprise by bring in this Tomica Speed Racer Mach 5. It have been hesitate for me to buy in from Ebay at US14.00, but Litt Tak got it in together with the Limited Evo X shipment. 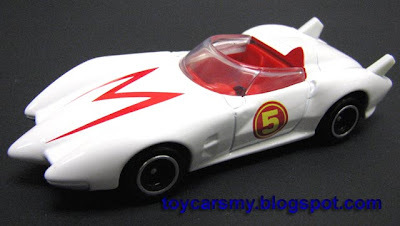 The model is taken from Speed Racer Movie, Mach 5 which drove my Speed in the movie. If also plan to have one, please grab it fast from Litt Tak Hobby Shop at RM12.90 each. I just got mine today from Jusco 1 Utama together with the Tomica Limited Evo X. I also saw the Tomica #67 Evo X there as well, 2 units left.